The marvellous thing about Steve’s text is the sparkling rhythm – it bounces along with barely a pause for breath – you could almost sing it (actually he does, when reading it aloud). The pictures to accompany it are lovingly drawn (despite the subject matter!). The animals expressive, the colours vibrant. Also, and this is Steve’s cleverest accomplishment – there is a whole narrative behind the poo joke. 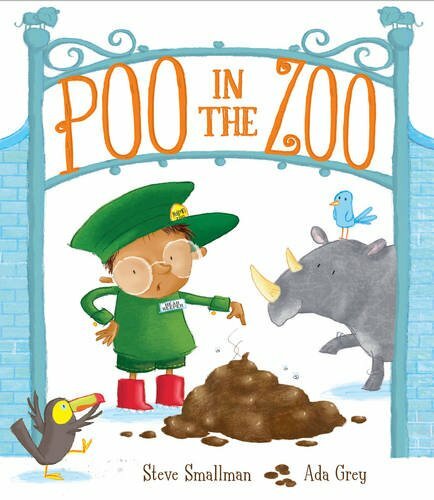 The story follows zookeeper Little Bob McGrew who has to clean up after the animals, but then discovers a poo he doesn’t recognise as being from one of his animals, and thinks it’s from outer space. He sells it to Hector Gloop, owner of Gloop’s Poo Museum, and with the money buys a robot pooper scooper to pick up all the animal poo for him. The last page shows our zookeeper and all the animals relaxing while the robot does the work – see if you can spot which animals opt for ice cream and which a cup of tea. You can buy it here or on the Amazon sidebar. 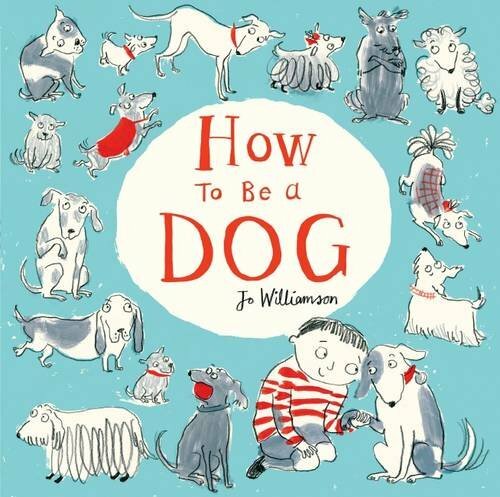 Of course picture books are more likely to take the lovable aspects of animals rather than the pooey ones. This particular gem features Barry, who is one of the cuddliest 2D illustrations I have encountered. A bigfoot, he is so squishy and fluffy and loveable, that all the creatures in the wood want to huggle Barry. He, however, would just like some time alone. He advertises for a replacement cuddly creature, and finds a bear, but the woodland animals still gravitate to the bigfoot instead. In the end their enthusiasm to cuddle Barry topples them all into a swamp – and suddenly, covered in squelchy boggy mud, he’s not so cuddly after all. This is a book that would be meaningless without its sympathetic and enticing illustrations. 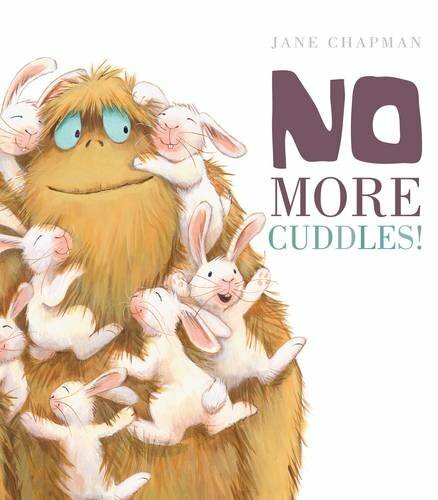 From Barry’s self-effacing adorableness to the rabbits’ delight in cuddling him, to the bear’s suitability for the role of new cuddle monster – all the illustrations are worthy of hanging as loveable paintings in a child’s bedroom. For anyone who sometimes craves a little ounce of privacy, or perhaps for a parent who wishes to explain that they want a little time in the bathroom without being clung to, this book fits the bill. The animals are adorable – it’s as comforting as a familiar toy, or a snuggly bed. You can buy it here or on the Amazon sidebar. as well as hilarious illustrations of suggestions of a game other than ‘ball’, to play with your owner, which shows the dog and his owner playing chess: the dog with ambitious intent and drive, and the girl with a sad, defeated look. The other wry illustration which particularly tickled me was that of the dog comfortably under the duvet, taking up most of the bed, whilst the boy sleeps, half hanging off the bed, and the teddy bear lies awake on the floor, clearly having been ousted. Jo Williamson certainly knows how to do expression. Her dog is slightly reminiscent of an old favourite, the illustrations of Margaret Bloy Graham in Harry, the Dirty Dog. Other mentions must be made of the endpapers – all different types of dogs – and the colours – mainly a turquoise blue dotted with expressive deep red. It gives the book a style reminiscent of a manual. A witty new read, which I’m longing to take for walks in the park! You can buy it here or on the Amazon sidebar. 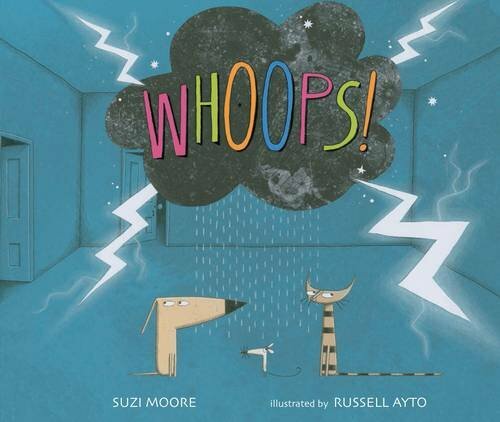 The experienced award-winning illustrator Russell Ayto brings his distinctive style to this zany book by Suzi Moore. Three animals: dog, cat, and mouse, can’t seem to utter noises correctly. An owl sends the animals to see an old lady who he thinks can help. From the title, Whoops!, it’s clear that there are mishaps along the way, and even at the end! 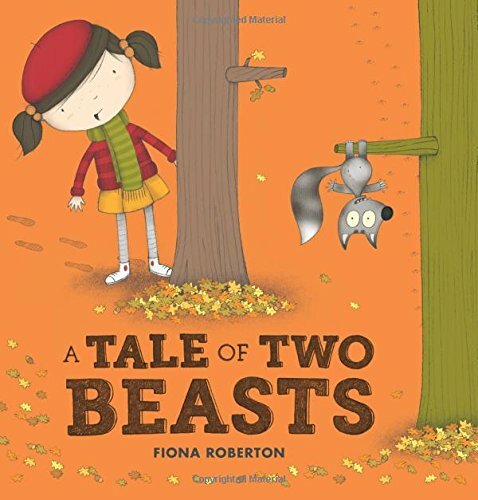 This is a good book for reading aloud or introducing toddlers to a story narrative. The initial page presents a problem, which is eventually solved, although there is a twist at the end. There is lots of repetition – as the old lady doesn’t quite get it right first time – so plenty to join in with, and also the entire text rhymes. In fact there’s a good solid rhythm to the text here – it reminded me a little of Room on the Broom, one of my favourite read-aloud treats. Moreover, it’s a beautifully produced book – each page has its own distinguishing background colour from vivid blue to magenta pink, some darker, some lighter – they give the book a clean feel. The formation of the text is played with too – some wiggles, some in speech bubbles, but it’s never hard to read. Russell’s simple line drawings also lend a minimalism to the story – the house in the woods is stark and peculiar, the animals themselves sharp-edged and repetitive too – their expressions and body language seldom change – but this complements the text. These are not cuddly animals! I must admit I reviewed the hardback copy of this title – but this book deserves to be read in this format. I also liked that the animals chosen were three of the most basic and simplest animals with knowable noises; the irony lying in the fact that although natural predators of each smaller animal, they seem to be in this together! You can buy it here or on the Amazon sidebar. The colour palate works well here – some beautiful autumnal oranges, muted reds and browns, and a blue/purple tinge to the night-time vista. It feels fresh and sharp. It’s particularly interesting to spot the small differences in the illustrations in the two parts of the book too – although similar, there are some lovely differences in expression. A great teaching tool, and rather lovely visually too. You can buy it here or on the Amazon sidebar. A huge thank you to Little Tiger Press for sending me a collection of their new picture books, and inviting me to their Tigers’ Day Out at London Zoo. You can visit their web site here and see their fantastic range of children’s books for yourselves too. ← Do You Have Superpowers?